So I started my 30 days of art to improve my skills in a huge way. As with most new skills if we don’t have it in front of us constantly we can forget about it or put it off til tomorrow and then suddenly it’s been months and there hasn’t been any progress. Well I didn’t want this to happen so I challenged myself to draw or paint something/anything everyday for 30 days. I’ll start from the beginning here but on my instagram you can get up to date with all of my art so far! 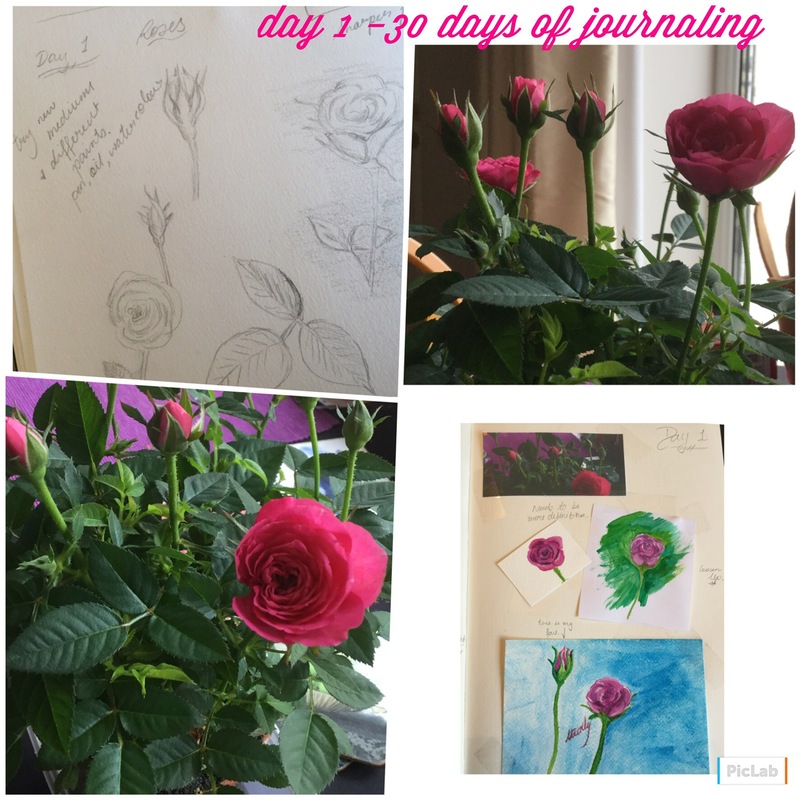 My inspiration for day 1 was the mini rose bush my beauties picked out for me. I love flowers, and we are constantly adding to our small garden. I hope you like Day 1! Previous Previous post: My first blog post as an Artist.